We know: You like 2-3 SEO tools, you get used to how they work and nothing compares to them. But what about all the rest out there? There are other SEO tools, and they do great things for other SEO people. 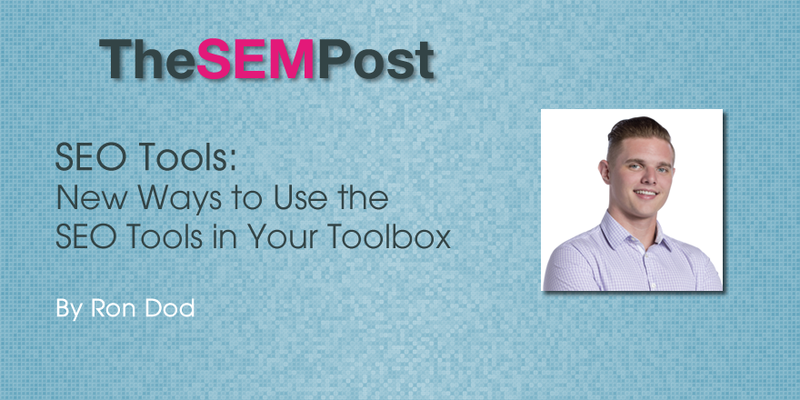 I want to share with you some of the personal SEO tools that we use and how we use them. We are pretty creative with how we utilize some of them and hope some of the ways our team uses them can help you in your own SEO research and implementation. For $70 a month, you can use their database and access some tools the enterprise guys use. Searchmetrics is the 2nd largest gatherer of data (second to Google), and it provides some fantastic insights into an organic search campaign. I won’t go into their full suite, but I will focus on their $70 a month suite, which is their research cloud. You are able to see a snapshot of how you are ranking for all of your keywords over the whole landscape. A lot of times we get fixated on organic search, when it comes to SEO, while a tool like SEMRush can estimate organic search rankings. I like SEMRush, but I think Searchmetrics does just as good of a job, if not better than SEMRush, and it is now affordable to the average marketing department or small SEO engagement. You can also see how you are doing against your competition with regards to social media, you can look at your content and see how it performing against your competitors, and you can see how your competitors have fared throughout history compared to yourself. Whenever a client comes to us, we try to learn as much as we can about them and their situation. A lot of times they have had a rough go of it with Google, and their traffic has suffered. Therefore, our job is to fix their problem and get them back into “profit land.” Whenever we do these analyses, I like to use SEMRush and the Moz list of Google updates. Basically, I go into SEMRush, and then use the Moz list. 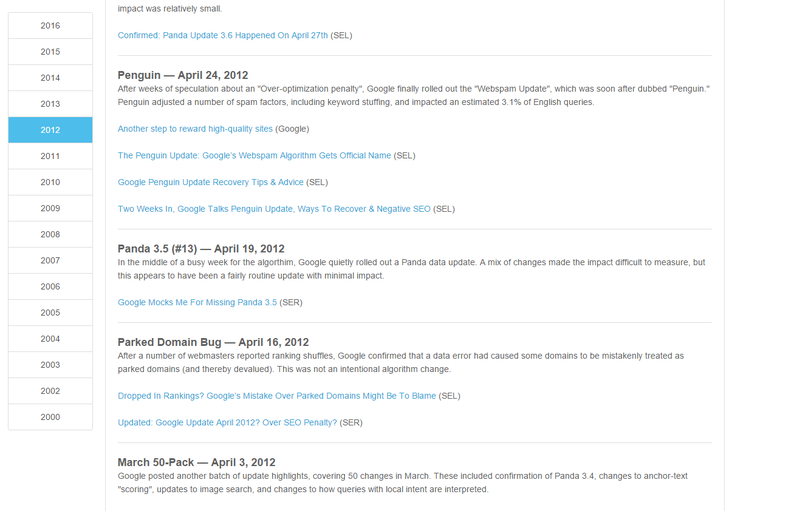 I like to use the overview dashboard on SEMRush, and then identify when they dropped. You can see below, concerning a client who dropped, that they really started getting hit in 2012. Once we identify the problematic time period, we use our list and see that when they started to drop it was early 2012. So, we go in our list, and the big one’s Penguin. Therefore, that is a good place to start looking at cleaning up their backlink profile. I want to scream every time one of my clients gets another “in depth technical SEO audit” done by an automated tool. They are very inaccurate and usually a “one size fits all” technical assessment. Nothing will ever replace a human being doing a full-on SEO technical assessment. However, there is a tool that usually does a good job for us, doing a lot of the grunt work. 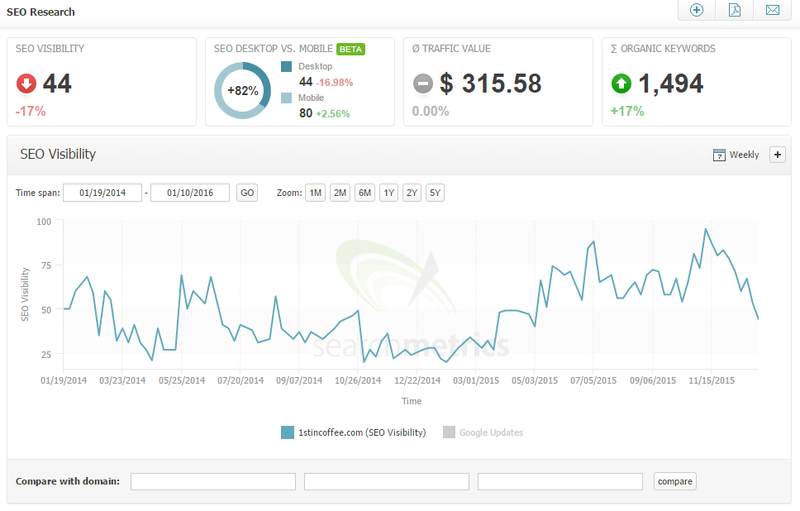 We like the SEO Powersuite tool for technical audits. It has a deep crawl and is not an SaaS. It is a desktop tool, similar to Screaming Frog, and, in our opinion, can really catch a lot of mistakes most tools out there cannot pick up. Do not send this to the client straight away. It needs lots of explaining, but, if you need an automated technical assessment tool, it is one of the best. If someone said Ahrefs was a good content research tool 2 years ago, they would have gotten laughed out of the building. 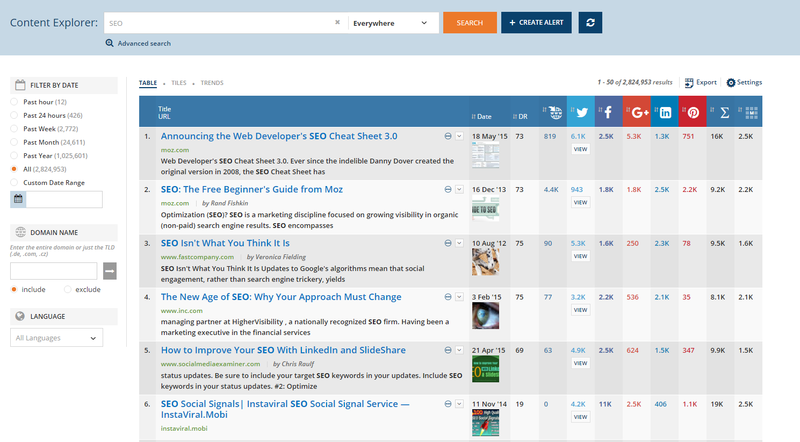 First off, Ahrefs has been doing a tremendous job with the depth of their tool, and, at this point, it is almost an “all in one” SEO tool. Their content research tool is fantastic. If you go into Ahrefs and use their “Content Explorer” tab, you get a fantastic dropdown of content research you can talk about. This definitely shows how there is hidden additional value in many SEO tools out there, if you look at them from a different perspective. Ronald Dod is the co-founder of Visiture, a search marketing agency focusing on eCommerce. He is passionate about SEO and is how he got started in the search marketing industry. Him and his team of Evil SEO and PPC Geniuses work day and night for their clients to achieve higher ROI from search marketing campaigns. On his time off you will find him in the park with his golden retriever, Patriot, or playing sports with friends. He also serves on nonprofit boards and tries to pay it forward as much as he can.